Transform your home into an island destination with the bold style of the Oxford collection. A chic and colorful living room group, this American made furniture collection features a contemporary style with a chic and sophisticated island aura. 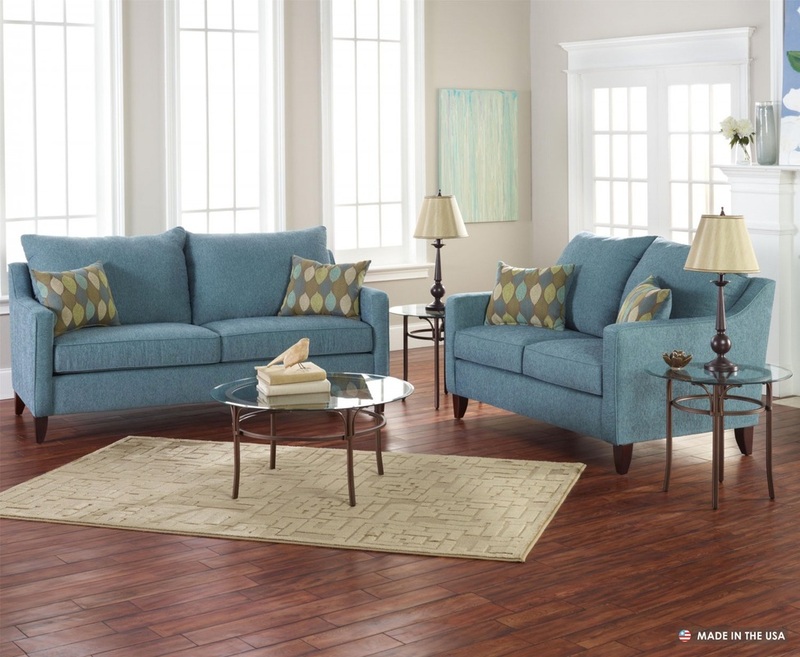 While plush padded seat cushions provide casual comfortable that promotes relaxation, thin track arms, exposed wood legs and a bright teal upholstery create a surrounding that is worthy of a chic sea-side paradise. Complete with welt cord accent trim, the items in this collection can be used together or as accent pieces.